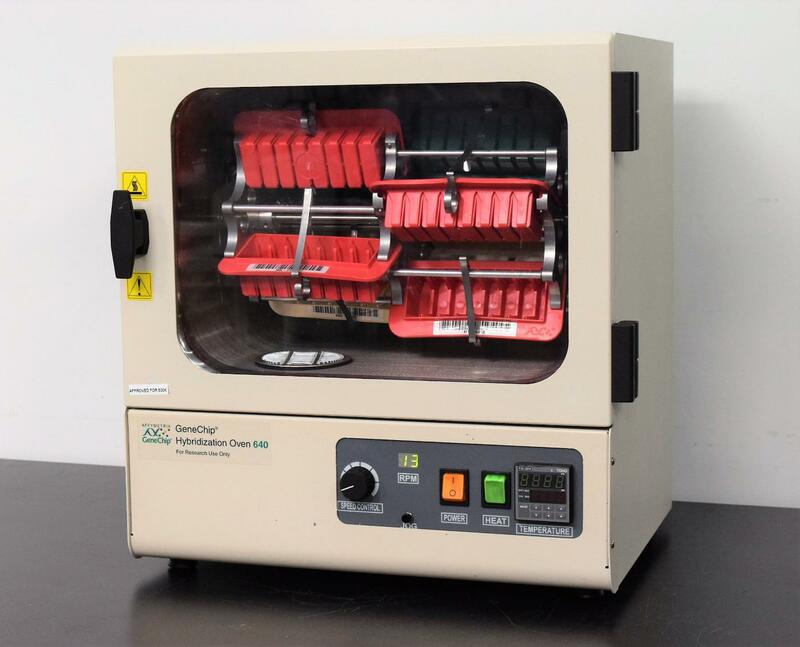 Affymetrix Genechip Hybridization Oven 640 Lab Incubator With Baskets . New Life Scientific, Inc. The Affymetrix Oven 640 is guaranteed to heat up to manufacturer’s specifications of 30ºC to 70ºC and features a large viewing display window. The oven was regulated to different temperatures successfully, the carousel spins and the technician was able to control the rate of spin (RPM). All the status indicators work and the door sensor recognizes when it is opened and ceases the rotisserie. want assurance in your purchase, so we include a 90-day warranty on our equipment to protect you against any equipment failure or defects.